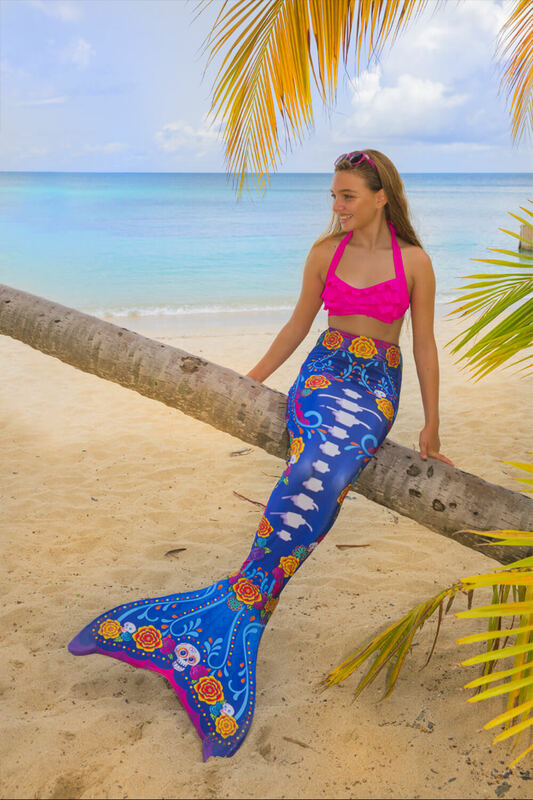 Complete your Day of the Dead celebrations with Fin Fun’s festive Limited Edition mermaid tail! Our lively Sea Spirits design explodes in a party of colors that mingle together in perfect harmony. Its brightly colored blend of Aztec marigolds and Spanish roses will quickly capture your gaze, followed by a path of multicolored dots and swirls. Even grinning candy skulls dance among the blooming flowers! 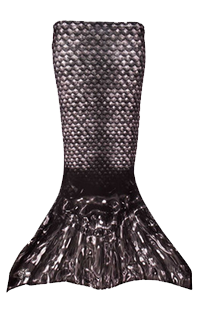 For the final act, a floating merspine takes center stage to inspire your greatest underwater performance yet! More Fin-Tastic Fin Fun Stuff!